A World War Two naval thriller, Run Silent, Run Deep depicts the tension of submariners on a mission surviving in a narrow tube, hunting and being hunted by enemy vessels. The taut narrative introduces potent on-board human conflict to add to the external dangers, resulting in a well-rounded war drama. 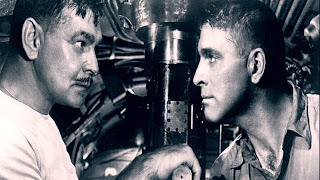 Submarine Commander Richardson (Clark Gable) is consigned to a desk job for a year after losing a battle with the Japanese destroyer Akikaze in the dangerous waters known as the Bungo Straits. Desperate for a second chance, Richardson is eventually assigned to command the USS Nerka, in preference over Lieutenant Jim Bledsoe (Burt Lancaster), who is popular with the Nerka's crew. Bledsoe accepts his role as support to Richardson and they set out in search of Japanese convoys. As the sub makes its way to waters off Japan, Richardson has one thing in mind: a return engagement with the Akikaze. He makes himself unpopular by training the crew hard to improve the speed with which the Nerka dives and fires, with emphasis on perfecting the unconventional bow shot (hitting an enemy ship from the front instead of the side). He further frustrates his men by avoiding contact with an enemy sub as he steers to a singular purpose. But not all goes according to plan, as the Japanese navy has tricks of its own, and the Nerka is ambushed and suffers damage and casualties from a barrage of depth charges. With Bledsoe being egged by the crew to seize command from the increasingly isolated Richardson, the stricken Nerka is forced to confront the intimidating Akikaze and another, unexpected danger. Loosely based on the novel of the same name by decorated submarine officer Edward Beach Jr., Run Silent, Run Deep offers a realistic view of pressure-filled survival in confined surroundings. 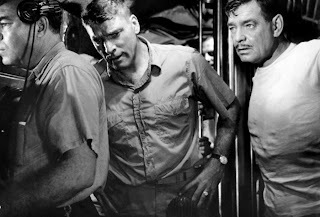 The cast and crew trained with real submariners to capture the on-board language, actions and attitudes, and director Robert Wise's cameras work hard to portray the claustrophobic compartments that need to be called home by a large group of determined but often frightened men. 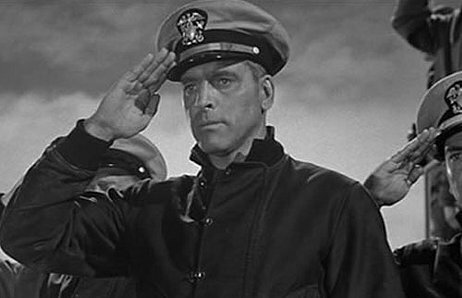 The special effects set a new standard for the era, with accomplished external shots of torpedoes firing, depth charges exploding around the submarine, and ships destroyed by torpedo hits. Wise cranks the tension up to a delicious maximum with some almost silent shots of the Nerka manoeuvring, sometimes unintentionally, close to the enemy, large vessels filled with men blind to their external surroundings except for the pings of sonar and the sound of a nearby engine. 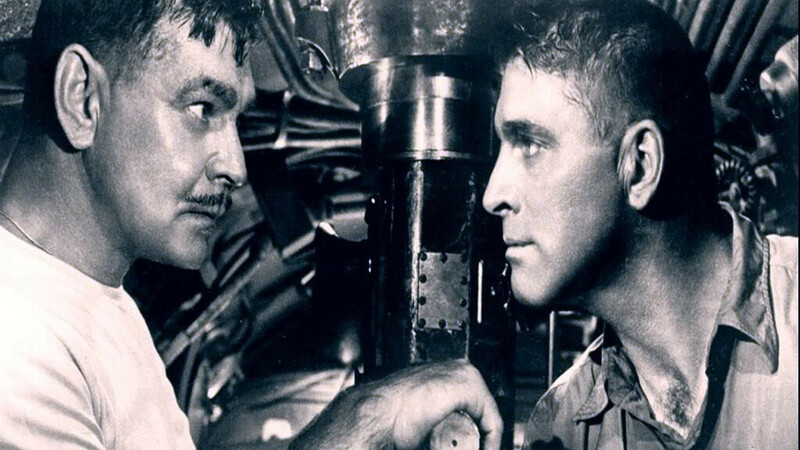 Burt Lancaster and Clark Gable cruise through Run Silent, Run Deep with the sleek efficiency of a torpedo streaking to its target. While Gable, at 56 years old, may be a bit old for the role, he unleashes the experience of a single-minded veteran. His Commander Richardson is willing to exert uncompromised authority and incur the wrath of the young crew in pursuit of a weighty military prize that happens to meet his personal revenge goals. The story's dramatic turning points balance on the shoulders of Lancaster's Bledsoe, a man who knows that his role has been unfairly usurped by Richardson but who nevertheless has to support his commander while keeping the crew loyal. 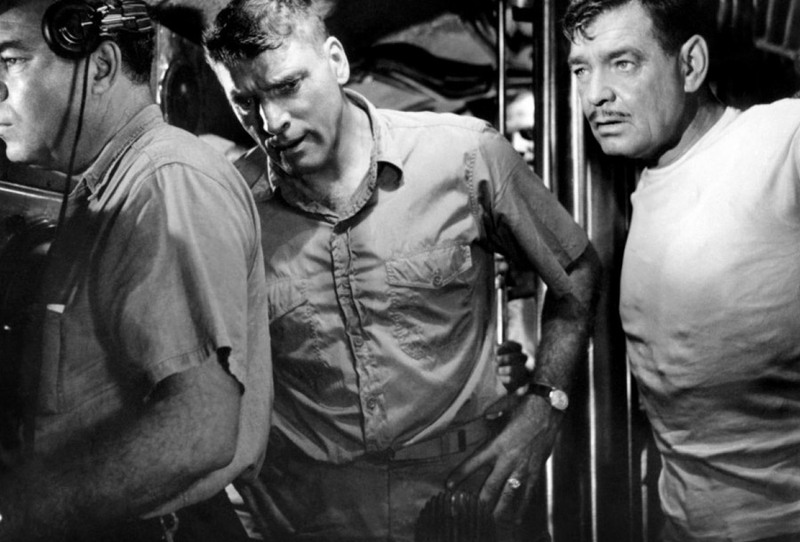 Bledsoe has to interpret Richardson's arcane behaviour to the crew, and most interestingly finds out how easy it is to misinterpret the mood of the men when the decision has to be made whether the stricken sub should return to Pearl Harbour or carry on the fight. Jack Warden and Don Rickles, in his big screen debut, are among the men sweating it out in the bowels of the submarine, living and dying according to the commands of their leaders. Run Silent, Run Deep also runs straight and true, and hits its targets dead centre. Great review. I like your synopsis: "a realistic view of pressure-filled survival in confined surroundings." I also like your analysis of Bledsoe: "a man who knows that his role has been unfairly usurped by Richardson but who nevertheless has to support his commander while keeping the crew loyal." What I like most about this film is the conflict between Richardson and Bledsoe. The younger Lieutenant lacks respect for the older Captain. This theme about respect for an elder is still relevant in 2017.